A support forum for employees bullied while working at the CSIRO has slammed an investigation into the workplace culture at the government agency, which cost close to $4.5 million. Despite 110 submissions to the inquiry alleging 130 episodes of workplace bullying, Fairfax reports just one manager at the CSIRO is now facing disciplinary action, while an action is pending against one other. While the investigation was conducted by former Commonwealth ombudsman Dennis Pearce and completed in April, it was the topic of discussion in the Federal Parliament this week when the CSIRO revealed to Greens senator Penny Wright that Pearce never had scope to return findings of misconduct against CSIRO managers because he did not work there. Instead, the CSIRO said the findings of the report will be used to “inform misconduct processes where appropriate”. Andrew Hooley, one of the founders of the Victims of CSIRO support group, told SmartCompany the investigation was flawed from the start as “there was no real stakeholder engagement in the first place”. “We advised our members to seriously consider personally whether it was worth being involved in the process,” he said. While Hooley says some individuals are personally pursuing other legal actions against CSIRO, he says the group believes there should be a parliamentary inquiry into the organisation. Hooley, who previously worked for the CSIRO, says bullying was “only a small part of the problem”. “What we found reading the submissions provided, it was the subsequent handling of that behaviour,” he says. But Hooley says this kind of treatment of bullying victims is not restricted to the CSIRO and is “rampant” in other government agencies and businesses. He says any situation of workplace bullying needs to be taken seriously, as a conduct matter, not just health and safety. “Employers need to make clear upfront that this kind of behaviour is unacceptable and people will be dealt with severely,” says Hooley. SmartCompany contacted CSIRO but did not receive a response prior to publication. The CSIRO has paid lawyers $4.5 million to investigate bullying allegations that dogged the organisation for years but without a single instance of workplace bullying recorded. The government science organisation has conceded its high-profile investigation never even had the power to make findings of workplace misconduct against CSIRO managers. After 110 submissions alleging 130 separate episodes of bullying, just one mid-level manager is now facing disciplinary action, with action pending against another. The organisation says that the investigation, which submitted its final report in April, formed the basis for sweeping internal reform, including the formation of an in-house investigations unit. 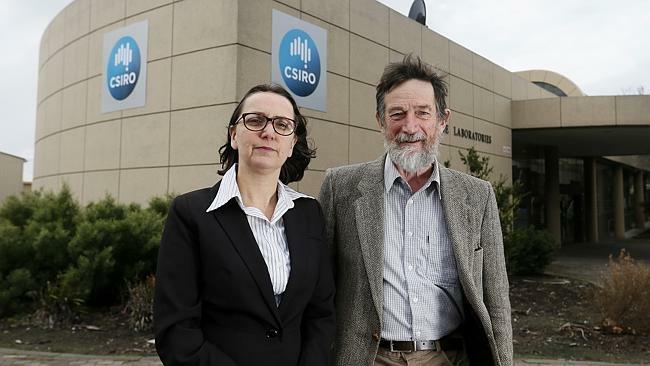 But complainants, who have formed a well-organised pressure group, say the latest revelations prove the CSIRO engaged in a ”$4.5 million cover-up”. The review by former commonwealth ombudsman Dennis Pearce was launched in February last year after an ”improvement notice” was issued by Commonwealth workplace insurer Comcare for the CSIRO installation at Canberra’s Black Mountain. Pressure for action by CSIRO management had been building for several years through the online Victims of CSIRO group, which lobbied the media and politicians for an investigations into the organisation. But Professor Pearce’s investigation found ”no major problem of workplace bullying or other unreasonable behaviour”, rejected claims of a ”toxic culture” and decided two accusations against outgoing chief executive Megan Clark could not be substantiated. In answers to a series of questions from South Australian Greens Senator Penny Wright, the CSIRO has revealed it has paid law firm HWL Ebsworth $4,454,498.09 to run the investigation. The organisation also revealed that Professor Pearce had no power to return findings of misconduct against CSIRO managers, because the administrative law expert did not actually work at the science organisation. ”Under the provisions of CSIRO’s Enterprise Agreement and CSIRO’s Misconduct Procedure, any formal finding of misconduct must be made by a CSIRO Senior Manager,” said the answer to Senator Wright’s question on notice. Andrew Hooley, a founding member of Victims of CSIRO, said his group had been unhappy with Professor Pearce’s inquiry from the start. ”The truth is, had the CSIRO actually established a credible investigation, a lot more than 130 complaints would have been received,” Mr Hooley said. The former researcher says that members of his group are still pursuing their cases against CSIRO though other means. ”It is a real shame because so many people for so long have been calling for a truly independent investigation of their complaints but from the outset, the CSIRO was completely incapable of keeping its paws off and let the investigation run its course without attempting to control the outcome,” Mr Hooley said. The following article was published on Crikey and has been the subject of significant media discussion, particularly in relation to the allegations of impropriety of key proponents on the research. It must be noted that this is not a new technology as the diesel engine was originally designed with this form of fuel in mind. Owing to oil shortages, German engineers developed coal based aircraft engines during World War 2. Coal upgrade technologies promoted by White Energy and its affiliates have been extended at least $25 million in public grants over three decades, plus valuable land and mining concessions, without results. The “Ultra Clean Coal” and “Binderless Coal Briquetting” technologies, supported over many years by the CSIRO’s energy division, have soaked up hundreds of millions in public and private funds. A Crikey investigation has identified a string of fruitless Commonwealth and state grants to support UCC or BCC since as far back as 1987, when then-CSIRO chairman Neville Wran, former Labor premier of NSW, announced a new technology that “if successfully commercialised, would give Australia a big marketing edge over other coal-exporting nations”. Wran described UCC as a “marvellous Christmas present from CSIRO to the Australian coal industry”. The UCC technology — which involved treating coal ground down to below 0.5mm to remove non-combustible impurities or “ash” so it could be used in power generation or transport applications as a substitute for oil or gas — was promoted by Auscoal, an unincorporated joint venture between White Industries (a forerunner of White Energy), the CSIRO and the Australian Coal Industry Research Laboratory. The BCB process, pressing the micronised coal into briquettes, resulted from the trials as a way of transporting UCC. The BCB technology is owned by White Energy, chaired by Travers Duncan, who is facing possible criminal charges after the ICAC found he had engaged in corrupt conduct during the aborted half-billion-dollar acquisition of Cascade Coal by concealing the involvement of the family of former Labor minister Eddie Obeid. Duncan is seeking a judicial review of the findings in the Supreme Court. White Energy is languishing on the Australian Stock Exchange trading at 22c — below its cash backing of 33c a share — after a joint venture to build a BCB plant at Tabang in East Kalimantan failed in 2011, causing losses of at least $US138 million — now the subject of a legal dispute in Singapore. Crikey’s investigation calls into question why CSIRO has continued over so many years to lend credibility and research funding to the UCC and BCB technologies. As Crikey reported last week, White Energy investors are also questioning why a further $40 million should be invested to build a new BCB plant in the US. The NSW Department of Trade and Investment gave further grants worth $5 million in 2010-11 and 2011-12. An earlier scheme to develop a “super coal” was promoted by Energy Recycling Corporation, which had an agreement with White Industries and was given a coal exploration licence covering 270 square kilometres at Ulan in the Hunter Valley by the Wran government in 1979, against the recommendation of the energy department. The licence was revoked in 1981 after ERC failed to make progress with its “super coal” technology, and sensational fraud allegations were levelled at the company in the State Parliament. Then-shadow energy minister Ted Pickering told Parliament the “super coal” process was “fraudulent, not only on advice received from the most eminent scientists in the coal mining industry, but also on the basis of an investigation conducted by a committee appointed by the previous minister for mines”. A later iteration of similar ERC technology, CENFuel, was touted in a prospectus for Asian Energy in 1995 — promoted by Australian astronaut Paul Scully-Power — but the $28 million float did not proceed. Private backers over the years have included BHP Billiton, which extended a $35 million convertible loan to White Energy to fund its BCB program in 2007. The UCC technology was sold to Felix Resources when it bought parent entity White Mining, then chaired by Duncan, in 2005 in a scrip transaction worth roughly a quarter-of-a-billion dollars — an independent expert valued UCC at between $5 million and minus $1 million at that stage — and was subsequently sold to Yancoal when it bought Felix for $3.5 billion in 2009. Yancoal suspended the UCC trial last year. Yancoal’s acquisition of Felix vaulted Duncan — dubbed “Mr Coal” — onto the BRW Rich List, where he is ranked the 68th wealthiest Australian with an estimated personal fortune of $680 million. The following article appeared on the http://www.news.com.au website today. Dr Fred Prata is a former CSIRO researcher who developed the technology for detecting volcanic ash clouds to permit commercial aircraft to continue flying in conditions where flights have previously been grounded (in recent years due to volcanoes erupting in Iceland and Indonesia). The technology also has the potential to be used in the detection other potentially hazardous materials in air such as chemical and nerve agents. The CSIRO sacked Dr Prata as he was in the latter stages of perfecting the technology but prior to completion of his research and before the technology was suitable for commercialisation. This is another example of the CSIRO Senior Management’s complete lack of forethought which has inevitably led to a highly skilled atmospheric researcher leaving Australian shores to work with a research organisation who actually values it’s employee’s contributions to science, rather than thwarting their best efforts at research through petty squabbles and political power play. The proverb “Cutting off ones nose to spite ones face” comes to mind! The success of Dr Prata is particularly timely as the CSIRO moves to decimate its ranks of scientists engaged in important research such as atmospheric and marine science, climate science, sustainable ecologies and renewable energy sources in favour of extending the life of fossil fuels, promoting GMO’s and chemical pest control instead of sustainable farming techniques and remaining politically sensitive to the climate change views perpetuated by its major stakeholders. It is a dark period for Australian science in deed! We congratulate Dr Prata on his outstanding achievements despite the best efforts of the CSIRO to derail his research and hope that this serves as a reminder of just how critical and valuable such areas research are to Australia’s national interest and its future. TECHNOLOGY to help aircraft detect volcanic ash is to go into commercial production, with British carrier easyJet planning to be the first airline to use it. EFFECTIVELY a weather radar for ash, the AVOID system has been supported by easyJet and should reduce the chances of a repeat of the Icelandic volcanic ash-cloud crisis of spring 2010. The CSIRO should be ridding itself of pernicious thugs and bullies who promote their own personal agendas rather than those who work for the benefit of our nation in areas of science which may not seem glamorous or lead to immediate commercialisation but are in the national interest. How many of the great discoveries of past CSIRO researchers has come from research that had no immediate or perceived commercial value? THE CSIRO is now regarded as “an employer of last resort” for researchers, says a scientist who once worked for the premier research organisation. Trevor McDougall, one of the world’s leading oceanographers and his former CSIRO colleague Stuart Godfrey are worried about the effect of Federal Government spending cuts. Prof McDougall said the CSIRO was becoming less like a research agency and more of an engineering consultancy. “The days where CSIRO was seen as a national icon are fast disappearing,” said Prof McDougall, who is now at the University of NSW. “It used to be that a research job at CSIRO was seen as a golden opportunity but now CSIRO is ­regarded as an ­employer of last resort. The Federal Government unveiled a $115 million cut to the CSIRO in the May Budget. Eighteen jobs are going from Hobart within weeks and more are expected in months. Dr Godfrey was a physical oceanographer at CSIRO for 33 years before retiring. “They have handled cuts in the past but the losses of people will affect Hobart,” he said. Hobart City Council alderman Helen Burnet last night gave a notice of motion at a committee meeting to call for a delegation to meet the CSIRO board and Tasmanian Liberal Senator Eric Abetz. The motion received unanimous support and will go to Monday’s full council meeting. Ald Burnet said the cuts would be disastrous for Hobart’s economy, community and international prestige. “While the state and federal governments are busy pumping money into mining and logging, what they should be doing is recognising Tasmania’s science sector as a true growth industry,” she said. It is quite insulting to read the CSIRO CEO excuses to staff and in the media for the massive job cuts which are currently being faced (or have already been experienced) by CSIRO employees as simply being attributable to reduction in government funding, when so much wastage has occurred as a direct result of Dr Clark herself. We question how many employees might have been retained had $6 Million not been wasted on an investigation that was never actually empowered to investigate the serious allegations raised about the conduct of certain CSIRO officers and was in fact, a thinly veiled exercise at ‘covering the backsides’ of a guilty minority. We know for a fact after reviewing a number of submissions provided to us that complaints were raised about the conduct of Dr Clark herself and other senior executives in relation to the handling and/or perpetuation of misconduct within the organisation. How many of the complaints made in relation to senior officials in the organisation were properly investigated? We would be surprised if any were investigated as most of the high-level allegations we have been privy to, were removed from submissions prior to redrafting and submission to CSIRO for a response meaning that the allegations were never tested. If we are to understand the logic of this correctly, the investigator has determined that a failure to act does not constitute an act of misconduct and is therefore out of scope of the investigation. We would happily receive clarification of this logic from Professor Pearce. The CSIRO Code of Conduct explicitly states that CSIRO employees must report any act or suspected act of misconduct. Those in receipt of such information not only have a moral and ethical obligation to act but also breach the Code of Conduct by bringing the CSIRO into disrepute as a result of failing to address such allegations. A failure to act upon or report conduct of a criminal nature carries its own serious consequences in various jurisdictions. Under the Work Health and Safety Act 2011 (Cth), and formerly the Workplace Health and Safety Act, failing to take reasonable steps to prevent harm to employees is a serious offence which carries substantial fines for both individuals and organisations and the most serious of circumstances may even warrant a custodial sentence. Again, we know for a fact that Dr Clark herself has failed to act on many complaints of bullying and victimisation throughout her tenure as we have advised members to contact her directly with allegations after it quickly became apparent that some senior or mid-level officers were failing to respond adequately to such allegations. Perhaps it is time for Comcare to enact its powers under Part 9, Division 3, Subdivision 4 of the Work Health and Safety Act to compel CSIRO, and/or the investigator to provide all documentation relating to the investigation to assess any likely breaches of the act. The CSIRO, instead of addressing and rectifying such behaviour and its horrific impacts, prefers to bring its bottomless legal muscle to bear in frustrating the claims of CSIRO employees who have suffered injury as a result of its actions and inaction, or to mislead Comcare into doing the same. How much did it cost for CSIRO and Comcare combined to frustrate the claim of Martin Williams which inevitably led to AAT Deputy President JP Constance not only dismissing much evidence of the evidence provided by senior CSIRO officers as unreliable but also taking the unprecedented step in preferring all of the evidence of Mr Williams over that of the respondent. How much is CSIRO currently spending in frustrating the myriad of claims made by other victims of its bullying and victimisation? How many jobs might this have saved? Staff at the Commonwealth Scientific and Industrial Research Organisation (CSIRO) are calling for an urgent meeting with Industry Minister Ian Macfarlane over proposed job cuts. The Federal Government has cut more than $110 million from the organisation’s budget, and staff have already held national protests against the cuts. The CSIRO Staff Association is also hoping to convince the crossbench Senators to water down the cuts. The organisation stands to lose about 700 staff in the coming financial year, on top of 477 jobs already lost in the past 12 months. Bioanalytics and informatics leader David Lovell, who has worked with the organisation for 16 years, said research had been stymied. “We’ve gone from a situation where we have lots of exciting research that we are pursuing and delivering to a situation where we’re just stymied,” Dr Lovell said. In practical terms, the drop in funding means cuts to research in a range of areas, including geothermal, carbon capture and storage, and sensor development research. CSIRO Staff Association acting secretary Dr Michael Borgas said he would be sending letters to the Industry Minister and the crossbench senators this week. He said the meetings need to happen as soon as possible. “We’re under no illusions that there’s simply a button that’s going to be pushed overnight. There’s a widespread lack of understanding I think about how the science that the nation does, particularly in its national laboratories or its public laboratories, and that’s got to turn around,” Dr Borgas said. CSIRO chief executive Megan Clark met staff in Hobart to address concerns about the job cuts this afternoon. “Right now we are working through those discussions and as you can appreciate on a day like today, and this week, there will be some very difficult discussions and people need to understand and get clarity,” Dr Clark said. “Then of course we will look for deployment opportunities for them elsewhere in the organisation.